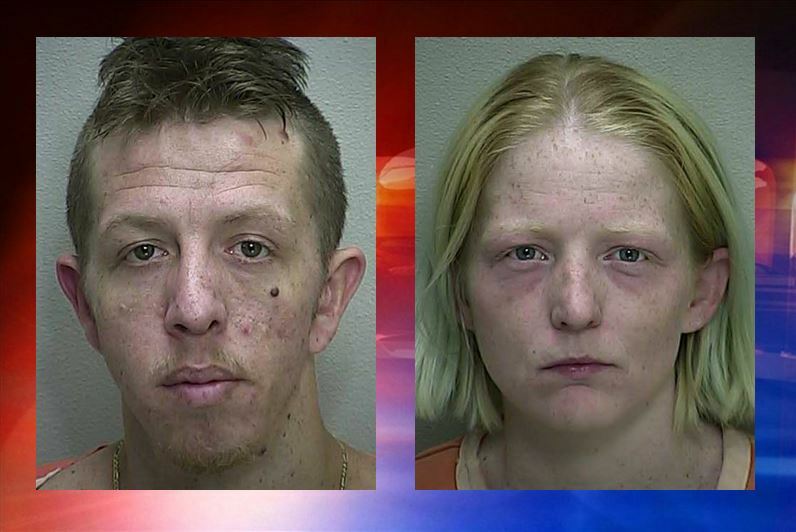 Ocala, Florida — On Tuesday afternoon, Marion County Sheriff’s Office deputies arrested Chase Ash, 32, and his girlfriend, Hope Wright, 27, on multiple charges. While officers assisted the Department of Children and Families (DCF) on a child well-being check at the couple’s residence at 2605 SE 69th Place, Ocala, deputies discovered two separate containers filled with the remains of cooked methamphetamine. According to the arrest affidavit, used exposed needles were also found on the floor in the master bedroom. Through the investigation, it was discovered that Ash and Wright were in possession of 181.5 grams of methamphetamine oil, a small amount of finished product, and drug paraphernalia. According to deputies, the meth was being made with an infant and another child inside the home. The children were inside the residence during the investigation. DCF removed the children and placed them into the custody of a family member. Both suspects told investigators that they frequently used oxycodone. They said they would dissolve it and then shoot it into their veins. The couple was charged with Possession of Methamphetamine, Trafficking in Methamphetamine, Possession of Drug Paraphernalia, and Child Neglect/Abuse. Wright and Ash are currently being held in the Marion County Jail. Ash is being held on $26,000 bond and Wright $27,500. In 2013, Ash and Wright were both arrested and charged with Possession of a Controlled Substance without a Prescription and Cruelty toward a Child, in which they each served six months in jail.